The fighter’s large nose aperture, combined with the ability to move the antenna, will give the Eurofighter Typhoon greater ‘vision’ than its competitors, delivering better operational performance to the aircraft and to its weapon system. 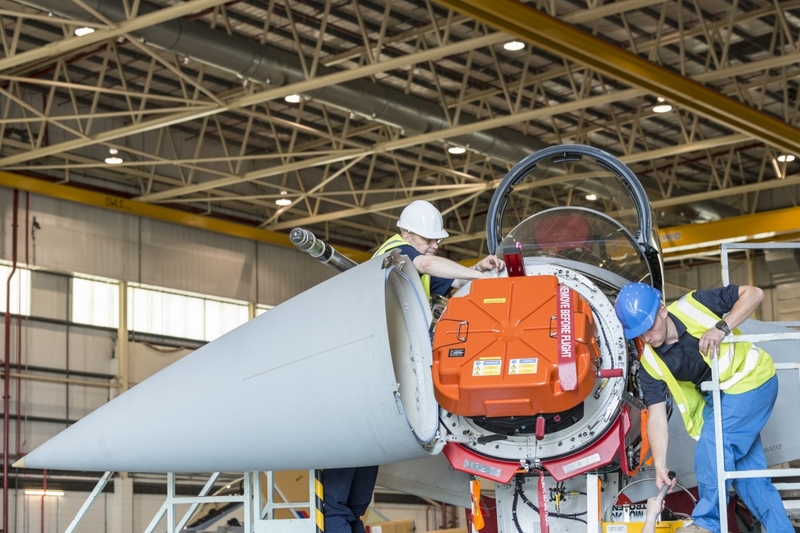 The Eurofighter consortium, along with its primary supplier, Euroradar, and a range of other suppliers across Europe, will all contribute to the integration programme helping further sustain high technology jobs across the four nations. Andrew Cowdery, the Chairman of Euroradar, said: “We have already been working closely with Eurofighter and the Eurofighter Partner Companies on this milestone development and we are delighted that the future of this key capability has now been secured. Captor E-Scan radar builds on the best know-how, industrial expertise and collaboration among leading European defence electronics companies”. This milestone confirms the commitment of the four Nations to provide the Eurofighter Typhoon with the best capabilities to seize current and emerging opportunities in the export market. 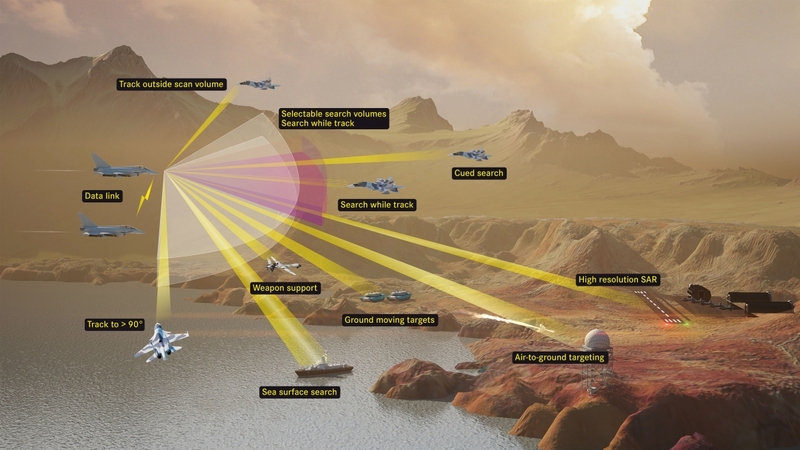 Both Eurofighter and Euroradar have confirmed that the radar has significant growth potential and existing and new customers will be able to participate in tailoring the radar to meet their individual operational requirements. 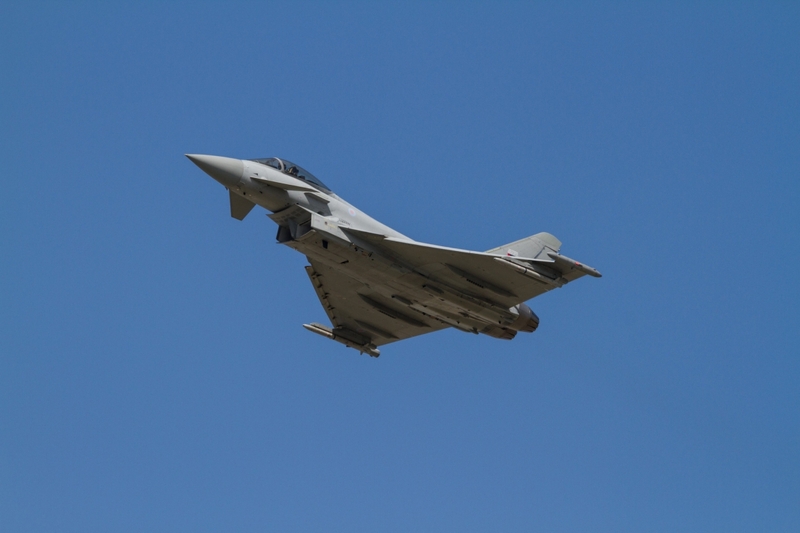 Captor E-Scan radar capability will further improve the Eurofighter Typhoon's combat effectiveness, allowing Typhoon to continue to maintain its superiority over other available combat aircraft. The radar will fit both Tranche 2 and Tranche 3 aircraft offering customers the freedom to retrofit their existing Eurofighter Typhoon aircraft when required. Captor E-Scan radar offers a variety of benefits over the mechanical M-Scan, including increased detection and tracking ranges, advanced air-to-surface capability and enhanced electronic protection measures. The new radar retains the key features of the existing Captor radar architecture in order to exploit the maturity of the current much acclaimed system and will use latest generation technology to execute concurrently a full complement of air-to-air and air-to-surface tasks. A very large antenna size and repositioner offering an extremely Wide Field of Regard (WFoR). The 200 degree field of regard is significantly larger than typical ‘fixed plate’ AESA radars, giving Typhoon a significant tactical advantage in air combat and greater situational awareness. The larger antenna allows a greater number of TRMs (transmitter receiver modules) thus greater power and reception leading to earlier target detection and greater utility across the EW spectrum. Its high technology strengthens the position of European aerospace industry in the international market. The programme secures more than 100,000 jobs in 400 companies. Eurofighter Jagdflugzeug GmbH manages the programme on behalf of the Eurofighter Partner Companies: Finmeccanica - Alenia Aermacchi, BAE Systems and Airbus Defence and Space in Germany and Spain, which are the most important aviation and aerospace companies in Europe with a turnover of about 123.2 billion euro (2011). Since delivery of the first Eurofighter Typhoon to the Royal Air Force in the United Kingdom at the end of 2003, a total of 420 aircraft have been delivered to six nations and over 268,000 flying hours have been achieved.